Brenden MacLaren spent three seasons with his hometown Soo Indians AAA hockey program before making the jump to the NAHL in 2016-17. Now, he’ll get to play hockey in his home state once again. The Sault Ste. 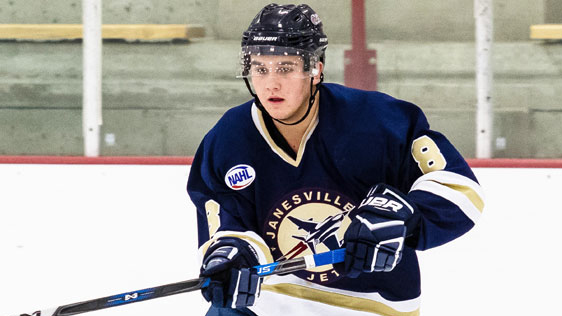 Marie native and Janesville Jets forward has verbally committed to Ferris State, joining Hunter Wendt as recent hometown additions to the Bulldogs hockey program in Big Rapids. He’s seen a big jump in performance from Year 1 to Year 2 with the Jets, increasing from six points in 2016-17 to 19 points already in 2017-18.